President Abdul Hamid and Prime Minister Sheikh Hasina, in separate messages, greeted the Hindu community on the occasion. Hindus in Bangladesh took to the streets of Dhaka on Sunday to celebrate the festival of Janmashtami that marks the birth of Lord Krishna. Janmashtami is a public holiday in Bangladesh, where a procession is held in the capital city every year. Havans, kirtans and discussions are also organised on the occasion. Participants in the rally enact passages from Krishna Leela or Mahabharata using different props and costumes. 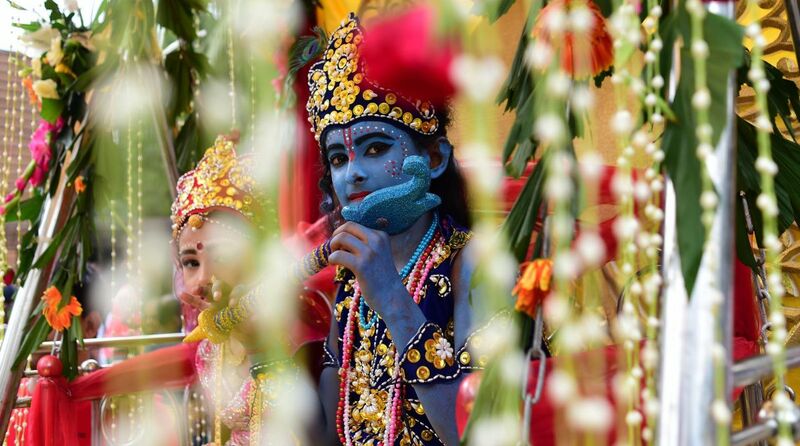 Several youngsters dressed up resembling Krishna, called the eighth avatar of the ten incarnations of Vishnu, to participate in the procession. Every year, the procession starts the famous Dhakeshwari temple and traverses through the streets of Old Dhaka. The President said Bangladesh is a country of communal harmony where people of all religions perform their own religious rituals freely. He urged people to continue the tradition of communal harmony in the country by strengthening friendships and coordination. In her message, PM Hasina said she hoped the ideals and teachings of Krishna would inspire his devotees to further consolidate the ties of communal harmony, friendship and fraternity in Bangladesh.